Keep the Hilltop within view while at work. A pack of 10 cards and envelopes measuring 5 1/4" x 4". 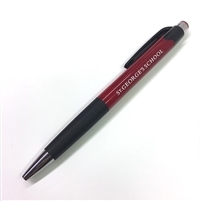 Available with Shield logo or sketch of the Chapel. 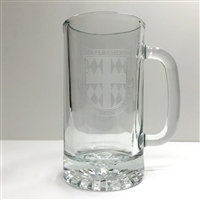 Crystal tankard mug etched with school shield and motto. 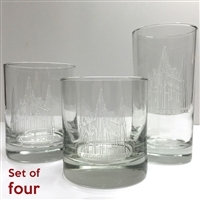 Etched Glasses with St. George's Chapel. 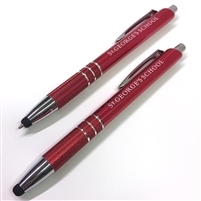 8 x 5 lined notepad included Stylish pen with retractable tip. Black ink. A set of four crystal glasses etched with St. George's School Chapel. On the rocks - 11oz. Double old fashion - 14 oz. Etched Glasses with School Shield and logo. A set of four crystal glasses etched with the school shield and motto. 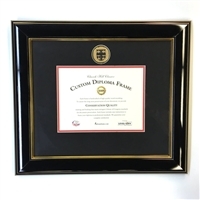 This frame with the Shield logo has a custom matte to frame your St. George's diploma.